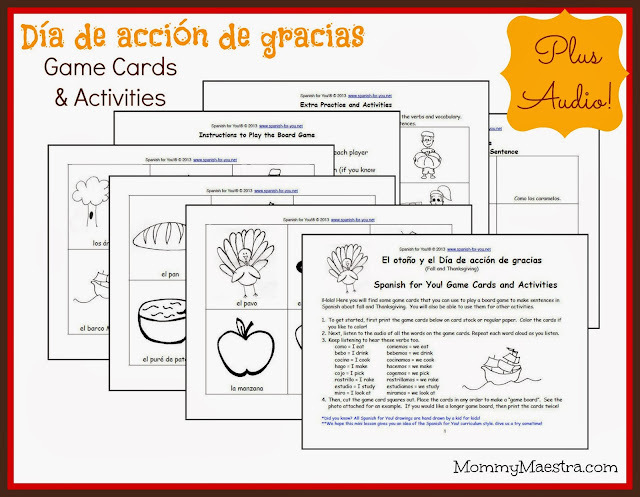 This month's great freebie from our sponsor, Spanish for You, is a set of game cards plus audio file. If your child/family is learning Spanish, this Thanksgiving-themed activity is great fun. The game cards and activities are available as a pdf file download. You'll find seven pages with pictures and words to introduce new vocabulary associated with this holiday. 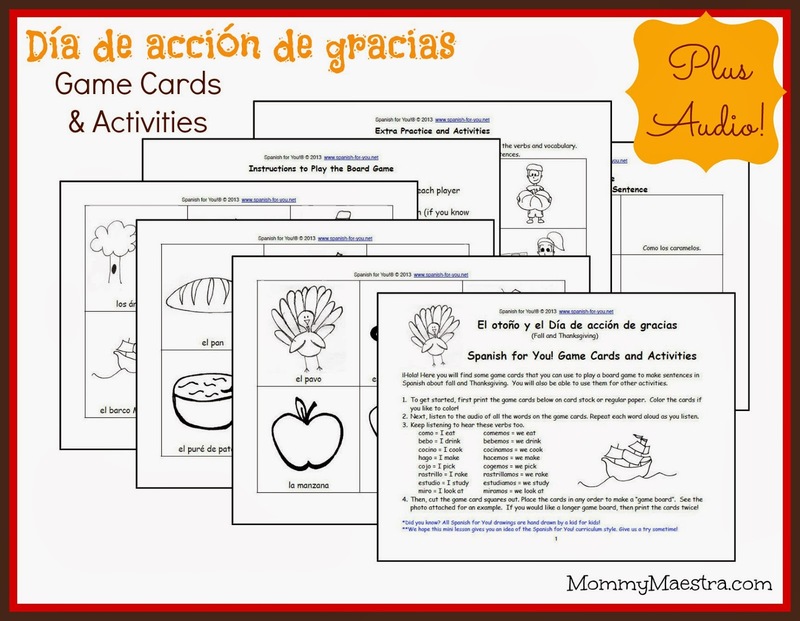 The game cards may be used to create your own board game to make sentences in Spanish about fall and Thanksgiving. There are also additional activity sheets so your kids can practice using the words they've just learned. As with all of Spanish for You's printables, you'll also find an audio file that you can use in conjunction with the pdf file.